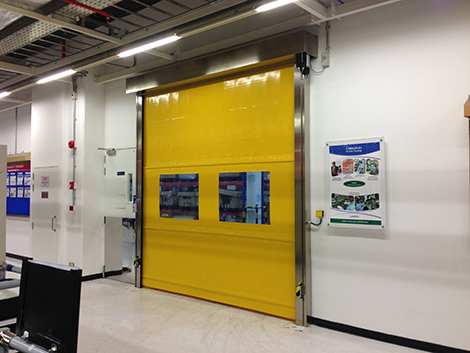 Roll-up doors technology cleverly applied to high-speed doors, now also available with a new drive unit which allows larger doors to be made; very compact and easily adaptable to any context. 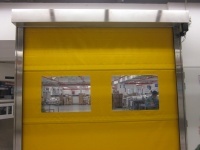 Simple, fast and extremely compact, the product features a flexible full curtain or a modular-section curtain and all original EUROPEAN safety accessories. 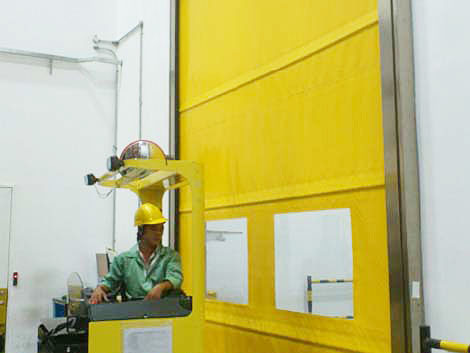 Possibility of applying the INVERTER motion device for differentiated adjustment of opening and closing speeds, as well as guaranteeing high performance. 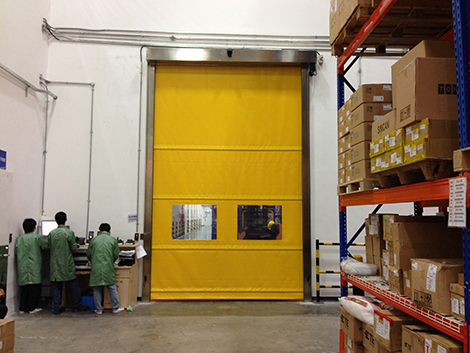 High Speed Roll up Door with full or modular section curtains.